It’s time for a little tough love. In recent days, a familiar chorus of negativity has begun to emulate from the area surrounding Atlanta Motor Speedway. Social media is rife with commentary from area race fans, complaining that this weekend’s Folds Of Honor/Quik Trip 500 falls too early in the season for their taste. 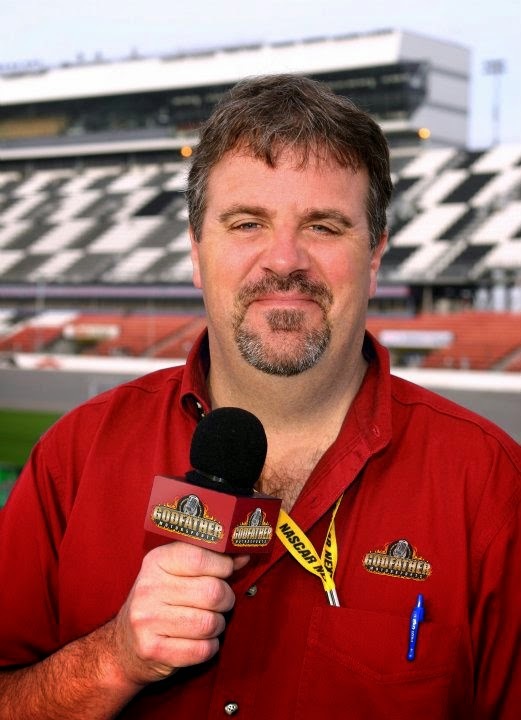 The radio talk shows are abuzz with disgruntled Atlantans, complaining bitterly about being “screwed over” by NASCAR and a March 1st slot on the Sprint Cup Series calendar. Bruton Smith’s 1.5-mile Atlanta Motor speedway is a motorsports showplace; fan friendly and conducive to fast, competitive, exciting racing. Track President Ed Clark and his staff do a bang-up job taking care of their fans and delivering an exemplary race day experience, and since the gates first opened in 1960, the Henry County speedway has done just that. 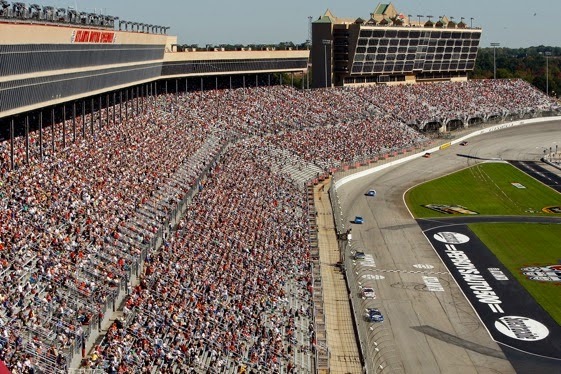 Sadly, however, Atlanta has historically struggled to fill its seats, and Sprint Cup Series events regularly roll off with the track’s towering grandstands only 75% full. That’s a dangerous state of affairs, and here’s why. When Bruton Smith purchased what is now New Hampshire Motor Speedway in 2008, his plan was to move one of the track’s two annual Sprint Cup Series weekends to another Speedway Motorsports, Inc. track, most likely Las Vegas. Once Smith got a first-hand look at those sellout Loudon crowds, however, all talk of moving a race came to an end. New Hampshire retains its twice-annual slots on the Sprint Cup schedule, and New England race fans have no reason to fear for the long-term future of their favorite race track. Atlanta Motor Speedway fans do not have that luxury. Empty seats and fan apathy have already sent one of AMS’s Sprint Cup dates elsewhere. If things don’t improve, the track could follow North Wilkesboro and Rockingham to the elephants’ graveyard. The warning signs are plain to see. As far back as January of 2003, former NASCAR Chairman Bill France, Jr. warned that flagging attendance would put race tracks – any race track – in danger of having their dates “realigned” to other, more successful facilities. It has happened to Rockingham Speedway. It has happened to North Wilkesboro. It has happened to Darlington, which now hosts just one Sprint Cup race per season. And it can happen to Atlanta, too. Obviously, there are other tracks on the NASCAR circuit with attendance issues. A plummeting economy has cut this sport -- and every other business dependent on discretionary income -- to the bone, with tracks now eliminating seats in favor of higher-revenue options like luxury RV parking and Fan Hospitality zones. Atlanta is not alone, but it is absolutely at a higher degree of risk. 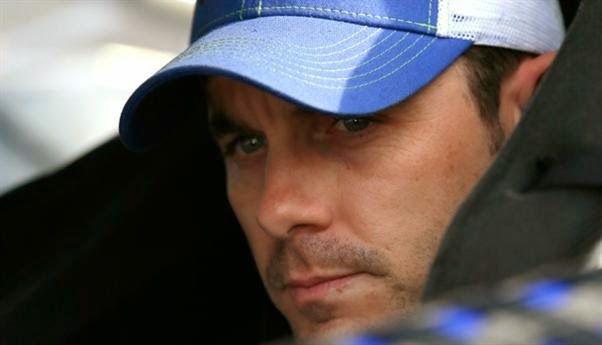 SMI’s Smith continues to bang the drum for a second Sprint Cup race at Las Vegas Motor Speedway, and NASCAR has shown no willingness to add a 37th event, allowing him to do so. If Vegas gets a second event, it will almost certainly be at the expense of another Speedway Motorsports property. And by virtually all indications, Atlanta stands at the top of the Hit List. Yes, the weather in North Georgia can be cold on occasion. It can also be hot, just like every other venue in NASCAR, or on the planet. No matter what the ambient temperature, however, Atlanta fans have historically proven to be lukewarm when it comes to professional sports. The NFL’s Falcons were competitive last season, finishing third in the NFC South and remaining in playoff contention until a loss to Carolina in the final week of the regular season. They ranked 10th in attendance for the 32-team league -- well above their usual average – but still felt the need to pipe-in crowd noise over their stadium’s public address system, in a misguided (and illegal) attempt to disguise lackadaisical fan support. The Atlanta Braves won 12 consecutive divisional titles in the late 1990s and early 2000s, but led the National League in attendance only once. In Game Four in the 2010 National League Division Series, the Braves played in front of 6,000 empty seats, and their fans historically buy playoff tickets at the gate on Game Day, knowing there will be plenty to choose from. Philips Arena – home of the NBA’s Atlanta Hawks and WNBA Atlanta Dream – seats just 18,047 for basketball, but still struggles to fill the seats. Most years, you can stretch out and have a row to yourself. The Hawks are playing great ball this season with a league-best 45-12 record that places them 12 ½ games ahead of the Washington Wizards for first place in the Eastern Conference. They rank 20th (of 30 teams) in attendance, though, selling only 90% of their available tickets. The National Hockey League tried and failed twice in Atlanta, with both the Flames (1972-1980) and Thrashers (1999-2011) attracting little attention from local fans. In their nine-year run, the Flames never ranked better than 21st of 30 teams in attendance, and the franchise now resides in the bustling metropolis of Winnipeg, Manitoba. Is it any wonder Atlanta is known as a lousy sports town? In fairness, the University of Georgia Bulldogs have no trouble filling 92,000-seat Sanford Stadium for each of their home football games, while Georgia Tech and Clemson (in nearby South Carolina) also pack them in with regularity. NASCAR has often butted heads with the NCAA in recent years, battling for the attention of Atlanta-area fans. In almost every instance, NASCAR comes away holding the short end of the stick. NASCAR has moved Atlanta’s race date a handful of times in recent seasons. Local fans see that sort of schedule shuffling as a lack of commitment to their speedway. In truth, however, it constitutes a frantic effort on the part of the sanctioning body to find a date – any date – that suits the fancy of the fickle Atlanta fan. Unfortunately, it always seems to be “too something” at Atlanta Motor Speedway. It’s too hot, too cold, too close to football season, or too close to hunting season. It’s too close to Labor Day, too close to Mother’s Day, too close to Arbor Day or National Kielbasa Appreciation Day for local race fans to come out of hiding and fill the seats. 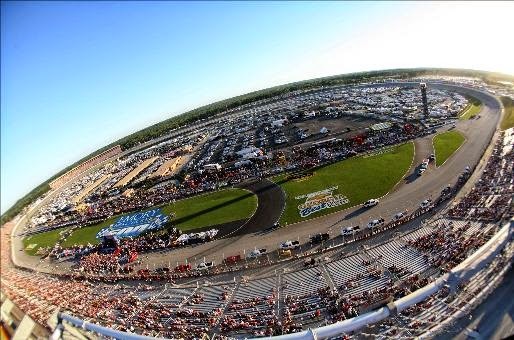 That’s sad, because as fans of Rockingham Speedway can attest, long-term apathy has serious consequences. The forecast for Sunday in Atlanta calls for a high temperature of 45 degrees, with a 50% chance of rain. That’s not ideal, admittedly. But for football fans in Green Bay, New England or Chicago, that’s shorts-and-a-Tshirt” weather. Put on a jacket, grab a pair of gloves, fill a Thermos with coffee and support your local race track, while you still can. And if not, don’t say you weren’t warned. Less than a week after handing down an indefinite suspension to former Sprint Cup Series champion Kurt Busch, NASCAR will now require members to report any violation of the law to the sanctioning body within 72 hours. Busch was suspended last week after a Kent County (Del.) Family Court Commissioner ruled that the Stewart Haas Racing driver "more likely than not committed an act of abuse" against former girlfriend Patricia Driscoll at Dover International Speedway last September. 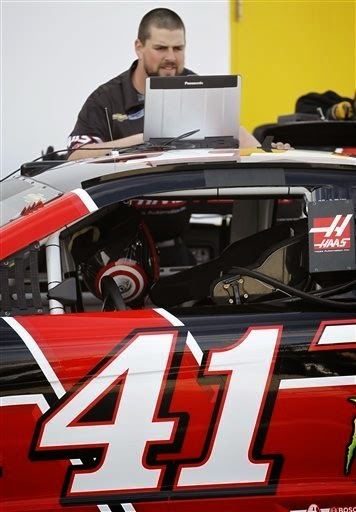 Wednesday, NASCAR issued a number of technical bulletins to it teams, including a new Section 2.11 of the national and weekly racing series rulebooks requiring "any NASCAR Member charged with any violation of the law (misdemeanor and/or felony) (to) notify NASCAR ... prior to the next scheduled event or within 72 hours of being so charged, whichever is earlier." While saying last week’s court ruling was not "the sole reason" for the change, Bryant said Busch’s situation revealed a need for NASCAR to be better informed when competitors come in contact with law enforcement. "We didn't have a mechanism to get a better situational awareness when our membership makes poor judgment and gets in trouble," said Bryant to FOXSports.com. "...There was a knowledge gap there that we needed to address and put a mechanism in place to hopefully improve our awareness… and ensure that we are helping our membership maintain those standards of conduct that are expected of everyone." Busch remains suspended by sanctioning body this week, pending the outcome of a criminal investigation conducted by the Dover (Del.) Police Department. Results of that investigation have been forward to the State’s Attorney for possible action. No timetable has been announced for the decision. NASCAR executive vice president Steve O'Donnell said last week that the sanctioning body "has made it very clear to our entire membership and the broader industry that any actions of abuse will not be tolerated in the industry. Any inference that there is a culture or a tolerance for this type of behavior is patently false." Busch has not commented publicly on his suspension. 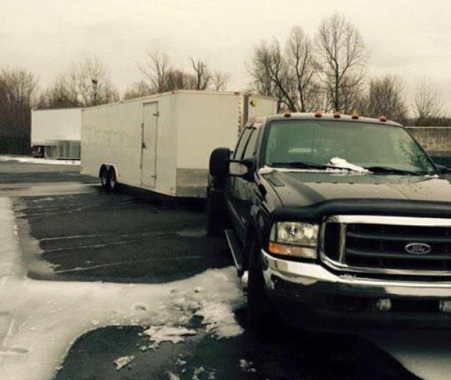 Team Xtreme Racing has withdrawn its No. 44 entry from the Folds of Honor QuikTrip 500 at Atlanta Motor Speedway, after a 26-foot trailer and pickup truck hauling the team’s Chevrolet race car was stolen from a hotel in Morrow, Georgia early this morning Thursday. The team’s hauler was dispatched to Atlanta Motor Speedway Wednesday, ahead of the bad weather that hit the Charlotte area on Wednesday night. It was safely parked at Atlanta Motor Speedway. With minor work remaining on the No. 44 Chevrolet, the car was loaded in the 26-foot trailer and arrived at the team hotel on Thursday night at 11pm. Hotel surveillance video shows the theft occurred at 5:32 am. Local police say a silver or grey Jeep Cherokee was also spotted leaving the hotel at the time of the theft. Kyle Larson was fast in NASCAR Sprint Cup Series testing at Atlanta Motor Speedway today, trailing only Chip Ganassi Racing with Felix Sabates teammate Jamie McMurray on the speed charts, at over 191 mph in Round One of a two-part test. “The car really didn’t drive much different here than it did with the old rules package,” he said. “The characteristics between the way the cars handled were about the same. The track had a lot of grip at first, so that is why Jamie and I were both up there. It was fast. Larson also said he felt little difference in speed today, despite changes under the hood that have dramatically reduced horsepower. “I really didn’t notice anything,” he said. “I thought it still came up to speed pretty well. Maybe it doesn’t carry to the end of the straightaway as hard as it did before, but we have less downforce too. It still feels fast. Maybe once we get to Michigan or a track where we will probably run even more wide open… we will notice more. Richard Petty Motorsports and Biagi-DenBenste Racing announced today they will extend their partnership to enter drivers Aric Almirola and Sam Hornish Jr. in three NASCAR XFINITY Series races this season. Almirola raced with the team in the season-opening XFINITY Series race at Daytona International Speedway, finishing seventh. 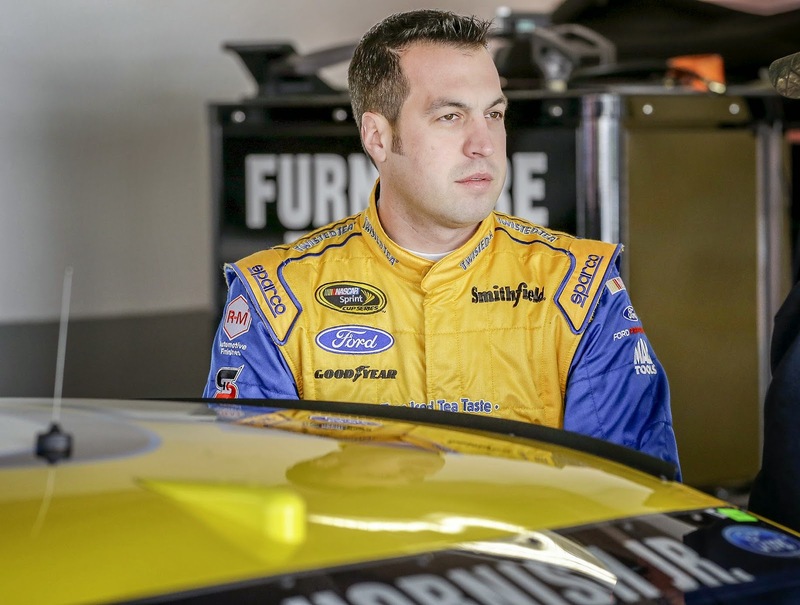 Hornish will take the reins of the No. 98 Biagi-DenBenste Racing Ford Mustang at Atlanta Motor Speedway this weekend and again at the Auto Club Speedway on March 21. Almirola will return to the XFINITY Series at the Las Vegas Motor Speedway on March 7. Hornish is a three-time winner in the XFINITY Series, and Almirola has one career victory. Both drivers have finished in the Top-Five in the series championship standings. Biagi-DenBenste Racing has recorded one win and numerous Top-10 finishes over the years, with various drivers. "The Biagi-DenBenste Racing team have been great to work with," said Sammy Johns, Director of Competition . "They prepare good cars with good people. I really believe having Aric and Sam on the track throughout the weekend gives us an advantage on Sunday. Also, I believe they can win races for this team. It's a beneficial partnership for everyone involved." "We have seen that Aric can race at the front of the field and compete for wins with us," added Fred Biagi co-owner of Biagi-DenBeste Racing. "Adding Sam to our race schedule only allows us more opportunities to be successful. We're proud to have experienced drivers who can bring immediate success to our team. It provides great value to our sponsors who partner with us each weekend." 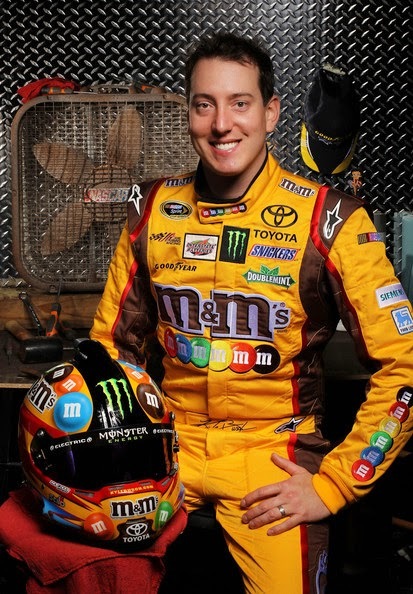 Joe Gibbs Racing confirmed today that Kyle Busch, driver of the team’s No. 18 M&M’s Toyota, underwent successful surgery this afternoon on his fractured left foot, which was injured in an accident during last Saturday’s NASCAR XFINITY Series race at Daytona International Speedway. Surgery was performed by Dr. Robert Anderson of OrthoCarolina. Busch is resting comfortably and will remain hospitalized for observation. Bush also suffered a compound fracture of his right tibia and fibula in the crash, and underwent a separate surgery to repair those breaks in Florida last week. No timetable has been announced for his return, but injuries like he sustained generally require at least 4-5 months for recuperation. 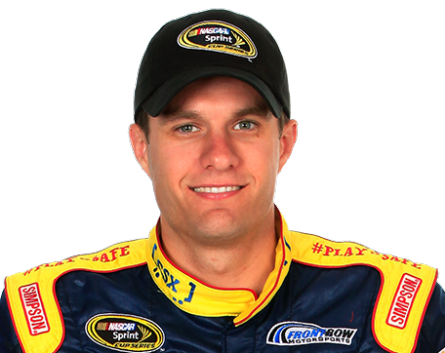 David Ragan has been named to drive the No. 18 Toyota in his absence. Matt DiBenedetto joins BK Racing as the driver of the No. 83 Burger King Toyota, beginning at Atlanta Motor Speedway this weekend. DiBenedetto started his NASCAR career as a development driver for Joe Gibbs Racing in 2009-2010. Competing in the NASCAR K&N Pro Series and Xfinity Series, DiBenedetto made a name for himself in the racing community. After much success, his opportunity got cut short due to a tough economy and lack of sponsorship. Starting in 2011, DiBenedetto has done extensive Sprint Cup testing for various teams and last year competed in the Xfinity Series for The Motorsports Group, recording some of the best finishes in the team’s nine-year history. He will share the No. 83 ride with last week’s driver, Johnny Sauter, for several races throughout the 2015 NASCAR Sprint Cup season. "I am so excited to get an opportunity to drive in the Sprint Cup Series for BK Racing," said DiBenedetto. "I truly cannot put into words how thankful I am for Ron Devine, Anthony Marlowe, and the whole organization giving me a chance to be a part of their team. I look forward to proving my ability behind the wheel and I hope to grow with the team for years to come." "BK Racing's third full-time entry is a great platform to allow young talents like Matt DiBenedetto to gain experience," said team owner Ron Devine, "I'm happy to know that we'll be working with someone who has a strong appreciation for the ride, is self-made, and has the confidence of his peers." Joining Dibenedetto this weekend at Atlanta Motor Speedway is Jeb Burton in the No. 26 Maxim Fantasy Sports App Toyota and JJ Yeley in the No. 23 Dr Pepper Toyota. Burton looks to make his debut in the NASCAR Sprint Cup Series in Sunday's Folds of Honor Quiktrip 500. 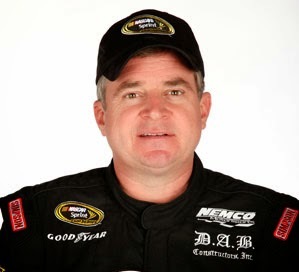 It’ll be “Front Row Joe Motorsports” this weekend at Atlanta Motor Speedway, after the From Row Motorsports NASCAR Sprint Cup Series team named veteran Joe Nemechek to replace David Ragan at the wheel of their No. 34 CSX Ford Fusion. Ragan has been tabbed to replace the injured Kyle Busch in Joe Gibbs Racing’s No. 18 M&Ms Toyota Camry. 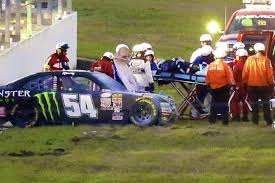 Busch suffered a compound fracture of his lower right leg in the final laps of Saturday’s Alert Today Florida 300 NASCAR XFINITY Series race at Daytona International Speedway. This weekend’s race will be the first of the season for Nemechek, who did not attempt to qualify for the season-opening Daytona 500. He will have to qualify on speed at AMS, after Ragan’s 2014 owner points were transferred during the off-season to new FRM teammate Cole Whitt. Joe Gibbs Racing has announced today that David Ragan will fill in for Kyle Busch behind the wheel of the No. 18 M&Ms Crispy Toyota in the NASCAR Sprint Cup Series beginning with this weekend’s race at Atlanta Motor Speedway. Kyle Busch was released this morning from Halifax Health Medical Center in Daytona Beach, FL and transferred to a hospital near his home in Charlotte, North Carolina for further treatment. Busch sustained a compound fracture of the right lower leg in an accident during Saturday’s NASCAR XFINITY Series race at Daytona International Speedway. Additionally, Busch suffered a mid-foot fracture of his left foot in the accident. No specific timetable has been announced for Busch’s return to the race track. 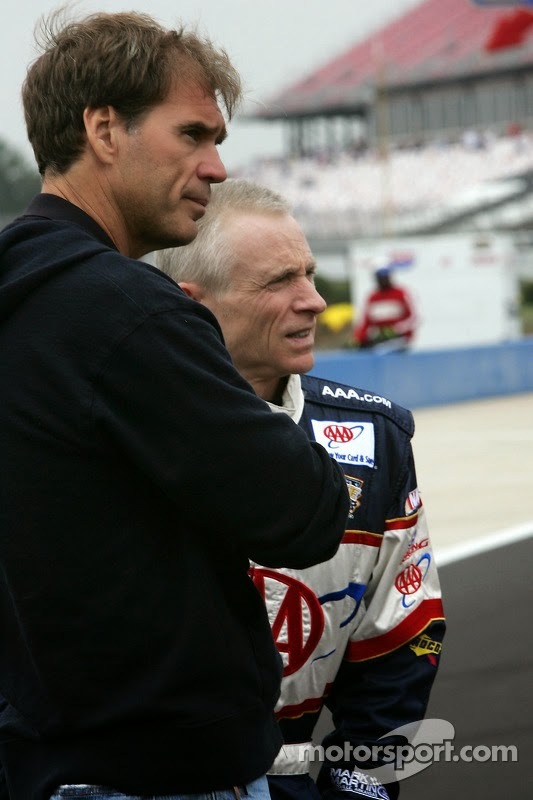 It is expected that Ragan will pilot the No. 18 M&Ms Crispy Toyota for at least the next several weeks. Ragan’s current race team Front Row Motorsports and sponsor CSX accommodated the move by Ragan and Ragan is expected to return to the team later this season. Additional updates on Busch’s condition will be provided as necessary. In addition, JGR announces that Erik Jones will pilot the No. 54 Monster Energy Toyota in the NASCAR XFINITY Series this weekend in Atlanta. An announcement on who will drive the Monster Energy Camry following Atlanta will be made at a later date. Ragan has run eight full seasons in the NASCAR Sprint Cup Series with 291 career starts. The 29-year-old Georgia native has two career wins, including most recently at Talladega Superspeedway in May of 2013. Jones is currently running a full season in the NASCAR Camping World Truck Series for Kyle Busch Motorsports and a partial schedule for JGR in the No. 20 NASCAR XFINITY Series Camry. International Speedway Corporation President John Saunders issued a written statement today outlining the company’s plans in the aftermath of Kyle Busch’s crash at Daytona International Speedway Saturday. “Beginning with our two superspeedway motorsports entertainment facilities, Daytona International Speedway and Talladega Superspeedway, ISC is developing a significant plan for the installation of additional impact-absorbing technologies including but not limited to SAFER barriers,” said Saunders. Atlanta Motor Speedway will add temporary tire barriers to two inside retaining walls in time for this weekend's NASCAR race weekend, in the aftermath of a crash at Daytona International Speedway Saturday that left driver Kyle Busch with a compound fracture of his right leg. “Following discussions yesterday between Atlanta Motor Speedway and NASCAR officials and a subsequent review of the existing SAFER barriers at the facility, AMS will add a number of additions to its existing barrier system," said a statement from the speedway today. "The protective wall at the exit of pit road near Turn 1 will be extended, and a tire barrier will be added along the inside wall of Turn 4 to offer supplementary safety protection. The installations will add a total of 130 linear feet of additional protective barrier prior to this weekend’s NASCAR events. Both personally and professionally, 2014 was a year to forget for Martin Truex, Jr. The Mayetta, NJ, driver managed just one Top-5 and five Top-10 finishes in 36 starts last season in the No. 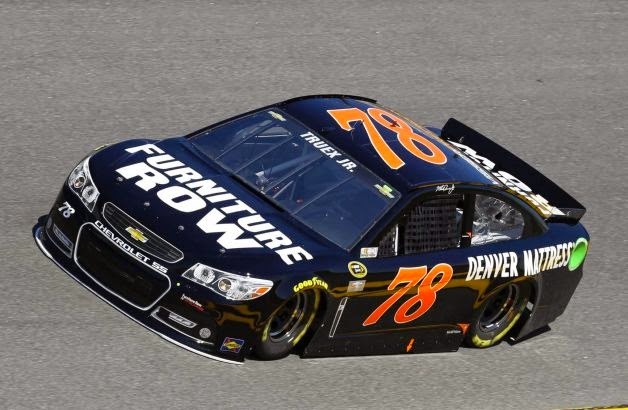 78 Furniture Row Raving Chevrolet; a car that had qualified for the Chase a year earlier with driver Kurt Busch. He finished 24th in the championship standings, by far the worst showing of his NASCAR Sprint Cup Series career. If the opening week of the 2015 season is any indication, there are brighter days ahead. Pollex returned to Daytona International Speedway last week, looking hale and hearty after successfully completing her treatments in mid-January. Truex also returned to form, guiding his Furniture Row Chevrolet to a runner-up finish in the Sprint Unlimited, a fifth-place showing in his Budweiser Duel qualifier and an eighth-place showing in the Daytona 500 that could easily have been a win. Truex started 10th Sunday, running near the front of the pack throughout the day, despite a pit road speeding penalty and fueling issues that dropped him to the rear of the field on two different occasions. Muscling his way quickly back into contention, Truex took the lead with just 12 laps remaining and appeared ready to contend for the victory. He was fourth when the caution flag flew for a crash involving Justin Allgaier and Ty Dillon, pushing the race into overtime. Shuffled back on the ensuing restart when the inside line struggled to get organized behind front-row starter Denny Hamlin, Truex was eighth when a crash involving Jeff Gordon and Kyle Larson prompted NASCAR to end the race under caution. 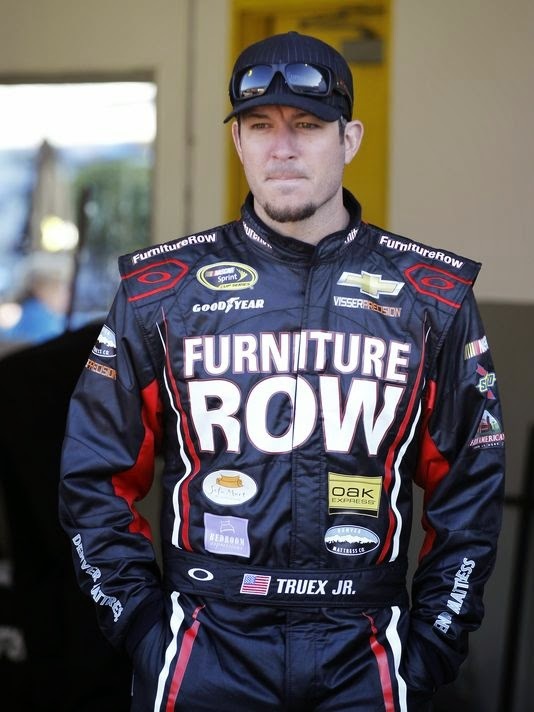 While disappointed not to contend for the win, the Furniture Row Racing driver climbed from his car smiling. "We almost threw away this race a couple of times,” he said. “But we came charging back with a powerful race car and good pit strategy by crew chief Cole Pearn. When you can come back like the way we did it, says something about the makeup of this team. It was a lot of fun to run up front and to be in contention at the end." "This was by far the best Speedweeks of my career,” said Truex. “We were consistent, with three Top-10 finishes and no major damage to the car. The road crew did a great job in every aspect of what was needed the past 10 days. And a big shout out goes to the guys back at the Denver shop for giving me awesome race cars. "The work we did over the winter, the testing toward the end of last season and the team changes we implemented all make me feel really good about 2015. Last year, we finished 43rd in the Daytona 500. Today, it was eighth and I felt our car was better than what the finish showed." After ending 2014 on a competitive upswing with a fourth-place finish at Kansas Speedway, a seventh at Dover and a 12th in Phoenix in his final eight starts, Truex said he is re-energized and ready to return to form this season. "We started to turn and our luck got a little better," he said. "We were nowhere near where we wanted to be, but we were better. In terms of confidence and communication, we all got on the same page together." After a dominant run Sunday on NASCAR's grandest stage, both Truex and Pollex are – quite literally -- back in the game. Their post-race smiles said it all. On a day filled with compelling storylines, Casey Mears and Germain Racing were the “never say die” team of Speedweeks 2015. After an impressive, fourth-place finish in the opening Sprint Unlimited and a solid performance in qualifying, the GEICO Chevrolet team suffered an early engine failure while running in the Top-10 of their Budweiser Duel Qualifier. Mears’ longshot dream came true, however, when a series of on-track incidents plagued enough competitors to put him into the “Great American Race” by the hair of his chinny chin chin. Starting 41st in Sunday's Daytona 500, Mears once again proved himself to be one of NASCAR’s best restrictor plate racers, surging to the lead in just 22 laps before utilizing crew chief Bootie Barker’s conservative race strategy to conserve his car for the finish. He returned to the Top-10 at crunch time, contending strongly for the victory before eventually settling for a sixth-place finish at the drop of the checkered flag. "It was a really solid day,” said Mears, who finished 10th in last year's Daytona 500 and fourth in the July Coke Zero 400. “We've run up front at a lot of these things and today, we showed how strong we are on these tracks. "We are getting a little bit greedier,” he said. “We definitely want to win one of these races. I think our standards are getting higher. We went from possibly not being in the show to finishing sixth in the biggest race of the year. That's definitely a good way to start the season. I'm proud of the guys on this GEICO team and happy to give all of the GEICO associates a good finish." 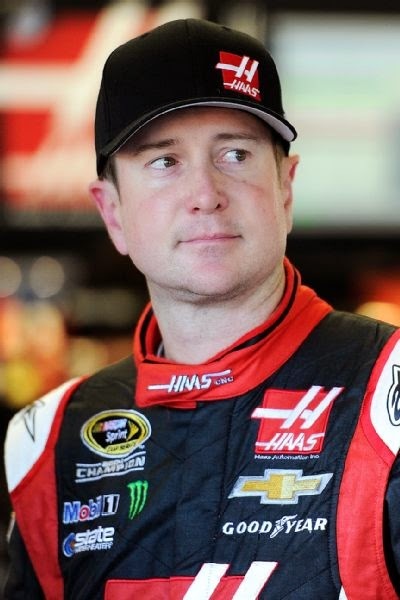 Kurt Busch was denied last night in a final appeal of his indefinite suspension from NASCAR. The Stewart Haas Racing had appealed his suspension from all NASCAR activities to NASCAR’s final appeals officer, Bryan Moss, but failed to earn reinstatement. 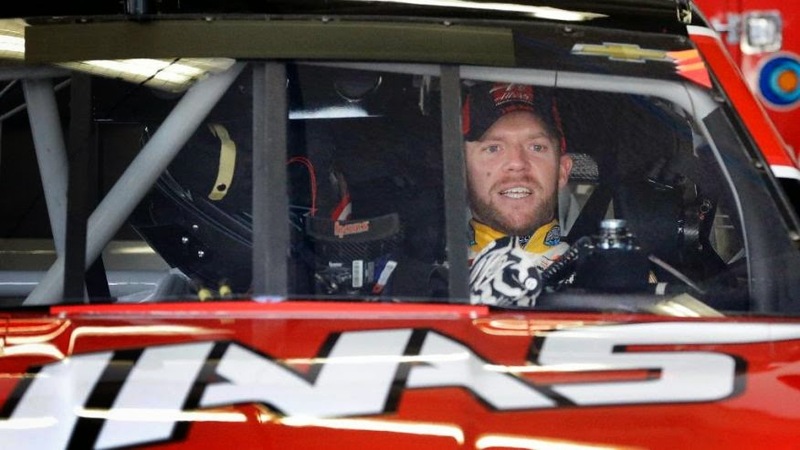 Earlier, the National Motorsports Appeals Panel also denied Busch’s request for reinstatement, one day after a Delaware Family Court Commissioner ruled that Busch had committed an act of domestic violence former girlfriend Patricia Driscoll and granted her an Order of Protection. Last night’s hearing was Busch’s final chance to earn reinstatement in time for this afternoon’s Daytona 500. Busch Out Of Daytona 500, Chitwood Says Track "Did Not Live Up To Its Responsibility"
Kyle Busch will not compete in today’s 57th Daytona 500, after suffering a compound fracture of his right leg in a savage NASCAR XFINITY Series crash at Daytona International Speedway Saturday. Busch impacted an unprotected section of concrete retaining wall near Turn One late in Saturday’s race, before being helped from his car and placed in an air for transport to Halifax Health Medical Center. He underwent surgery Saturday night to repair a compound fracture of his lower right leg and remains hospitalized today. A somber DIS track president Joie Chitwood said the track “did not live up to its responsibility” by failing to install SAFER barriers on inside retaining walls, and pledged to begin installing them "on every inch of our property," beginning next week. "Daytona International Speedway did not live up to its responsibility today," said Chitwood. "We should have had SAFER barrier there. We're going to fix that. We're going to fix that right now." Impact-absorbing tire packs were installed along the wall late Saturday night as a stopgap measure, with Chitwood vowing, “This is not going to happen again… the fix starts right now." He said the speedway has installed "tens of thousands" of linear feet of SAFER barrier in five different stages over the years, including 2,400 feet prior to last July’s Coke Zero 400. Busch, who was scheduled to start fourth in today’s Daytona 500, will be replaced by two-time NASCAR Camping World Truck Series champion Matt Crafton, who will make his first career Sprint Cup start in the No. 18 M&Ms Toyota. Busch is expected to be sidelined for a number of weeks, though no permanent replacement has been named. His wife Samantha is expecting the couple's first child in May. 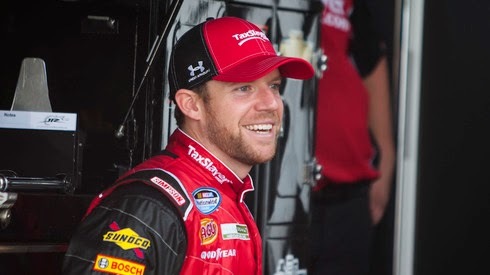 Regan Smith has become the designated “Super Sub” of the NASCAR Sprint Cup Series. In recent seasons, the Cato, NY, native has replaced Dale Earnhardt, Jr. when Earnhardt suffered a concussion in a crash at Talladega Superspeedway, and subbed for Denny Hamlin when the Joe Gibbs Racing driver was sidelined with an eye injury. Now, Smith finds himself replacing Kurt Busch, who was suspended indefinitely by NASCAR Friday for his role in an alleged domestic violence incident last season at Dover International Speedway. Smith commented on his latest relief stint, saying each situation is different. “They all have their own different circumstances and scenarios,” he said. “The fortunate thing is that I’ve done enough Cup races to where I’m familiar with most of the cars. They have changed a little bit over the years and obviously this rules package is a little bit different than what I had the majority of my experience in. The fortunate thing is the drafting is similar from the XFINITY cars to the Cup cars, so that’s not a big adjustment. “Last time, where we had 10 minutes to get a seat in… that was a little bit trickier than the other two circumstances. Smith said he has not been distracted by the circumstances surrounding the No. 41 team, adding, “knowing there was some stuff going on really didn’t affect me at all. It didn’t take away from any of my focus on that (XFINITY) side. Throwing this in is not going to affect -- one way or the other -- what I do in either car. The same goals exist (and) the same mission exists: to go out and win both races. “I don’t think anybody wants to be in the scenario where you have to sub under (these) circumstances, (but) if it happens, you want to make the most of the opportunity. There are a lot of people that have had their hands on that race car and have worked hard, and they deserve to have the opportunity to go out there and win that race. The former Darlington Southern 500 winner said crew chief Tony Gibson has not altered his strategy for Sunday’s race, nor his expectations. 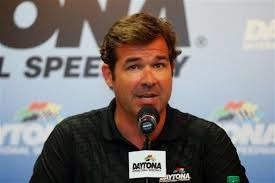 He also joked about his impending fatherhood, saying he has asked his wife to cooperate with a rapidly expanding Speedweeks schedule. Smith said there have been no discussion regarding next week’s race at Atlanta Motor Speedway, or beyond. Five first-time nominees for the NASCAR Hall of Fame were announced yesterday, headlined by former championship crew chief Ray Evernham, champion driver Alan Kulwicki, drivers Mark Martin and Herscel McGriff and crew chief Harry Hyde. Patricia Driscoll has commented on NASCAR’s decision to indefinitely suspend former boyfriend Kurt Busch, after a Delaware Family Court Commissioner ruled that the former NASCAR Sprint Cup Series champion assaulted her last September at Dover International Speedway. “For victims of domestic violence there are no `victories,’” said Driscoll in a written statement. “My only hope is that the pain and trauma I suffered through this process will help other victims find their voice. Unfortunately we live in a culture where stories like mine are often swept under the rug out of fear and with the knowledge that for every person who shows empathy many more will seek to disparage the victim. It is bad enough to endure the actual physical abuse but the verbal attacks that follow when a victim speaks up are sometimes just as painful. “Today NASCAR took an important step and deserves to be commended,” said Driscoll. “The next steps are to develop a thorough process and policies that re-enforce the organization’s position it took today: Domestic violence will not be tolerated in NASCAR. 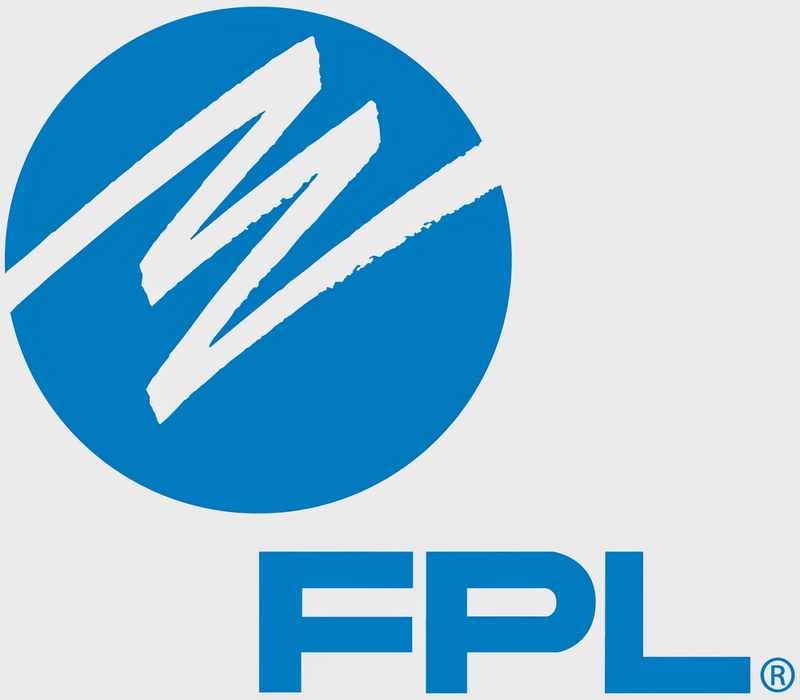 Florida Power & Light Company and Daytona International Speedway today announced plans to install commercial-scale distributed solar power at the “World Center of Racing,” complementing the ongoing $400 million DAYTONA Rising redevelopment project.